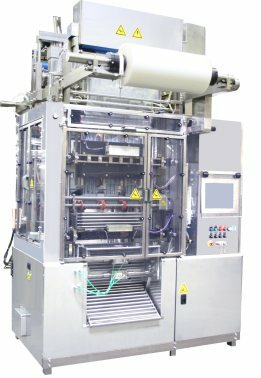 Vertical Form-Fill-Seal machines for Bulk Liquid Bag Filling applications. Pack sizes up to 19 litres (5 Gallons) and outputs up to 240 packs per minute. Options for fitments, CIP, Gas flush, Modified Atmosphere (MAP).